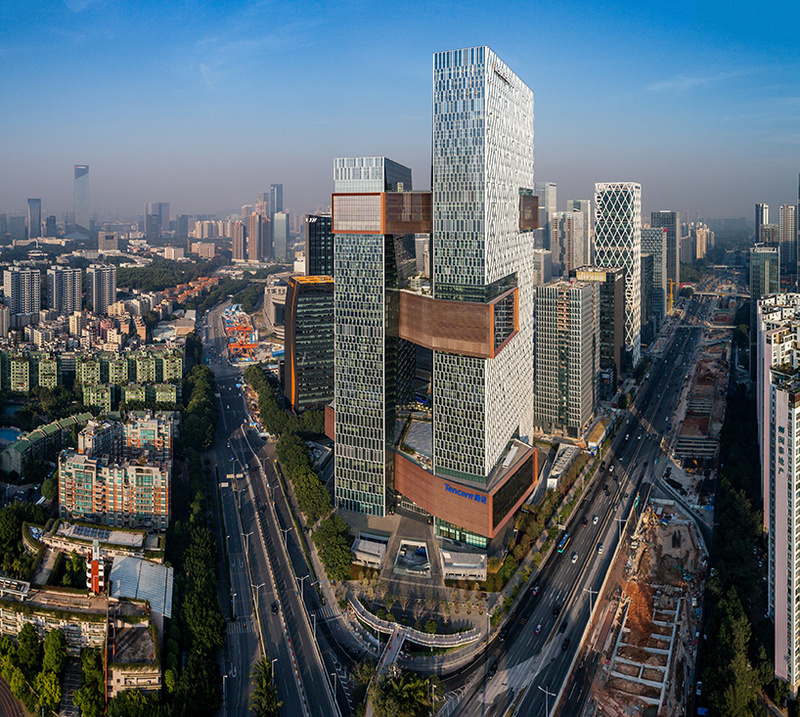 architecture in china encompasses a wide range of contemporary styles, often including dramatic feats of complex engineering. 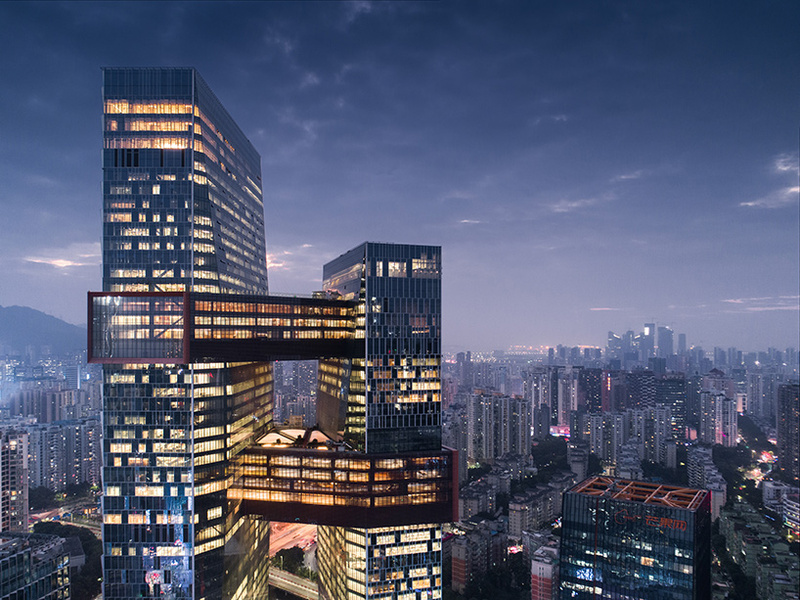 architecture in shenzhen surveys the contemporary condition of the city’s built environment, showcasing a range of innovative projects and the diverse materials and unconventional forms employed in their construction. 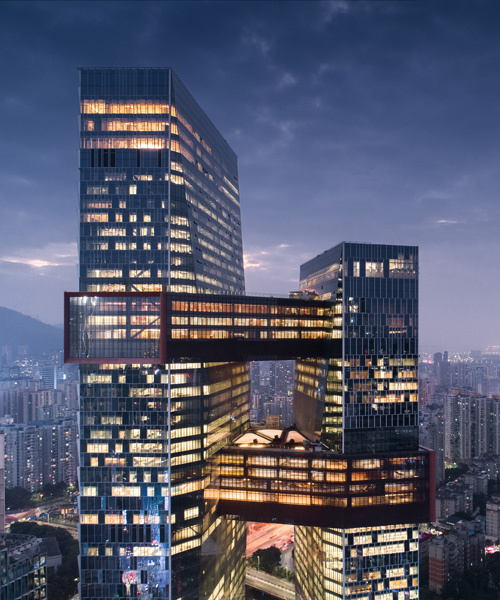 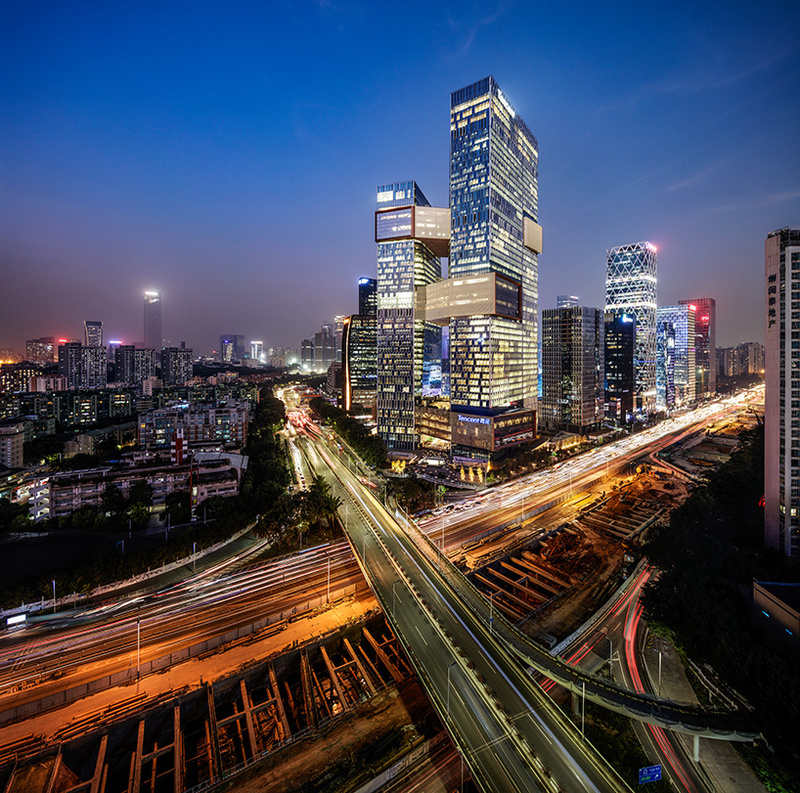 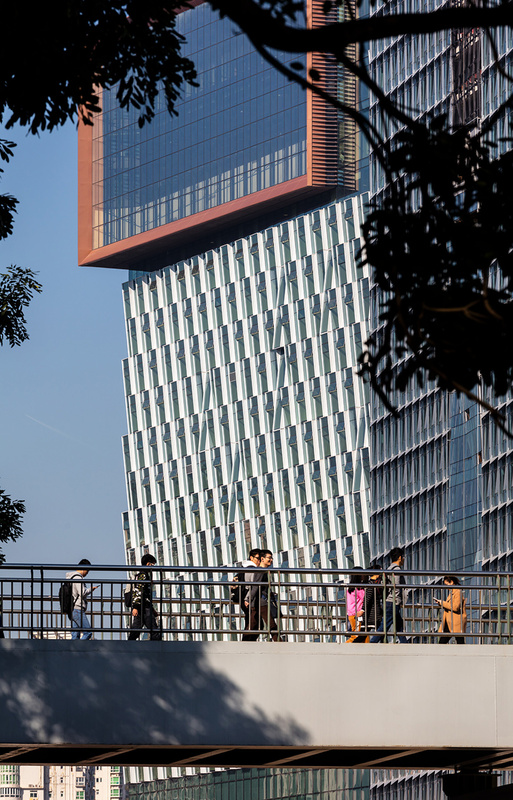 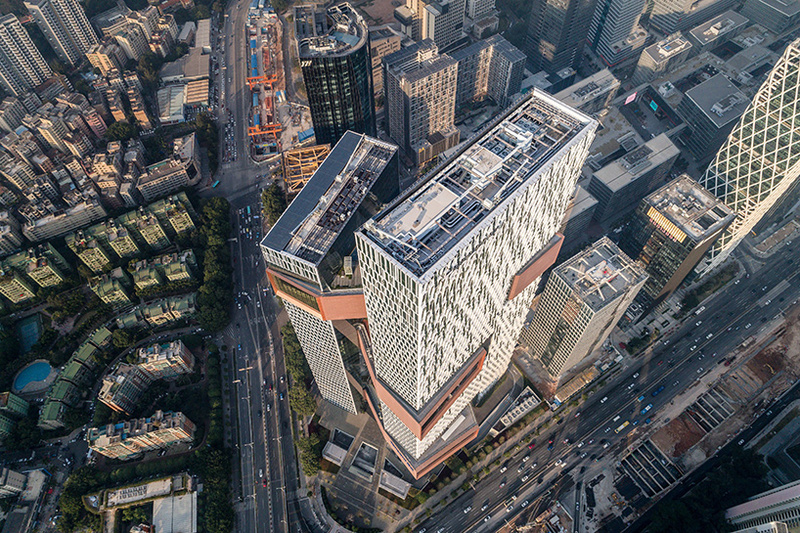 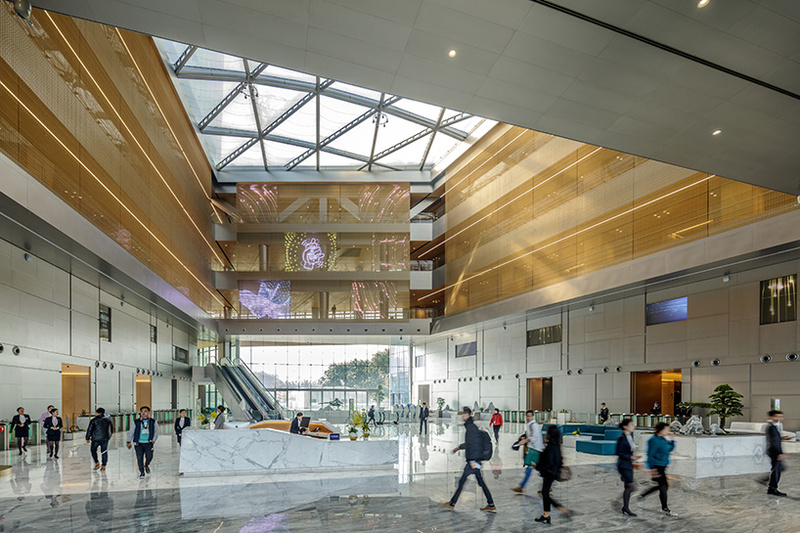 global architecture firm NBBJ has completed the design of a connected tower complex in the chinese city of shenzhen. 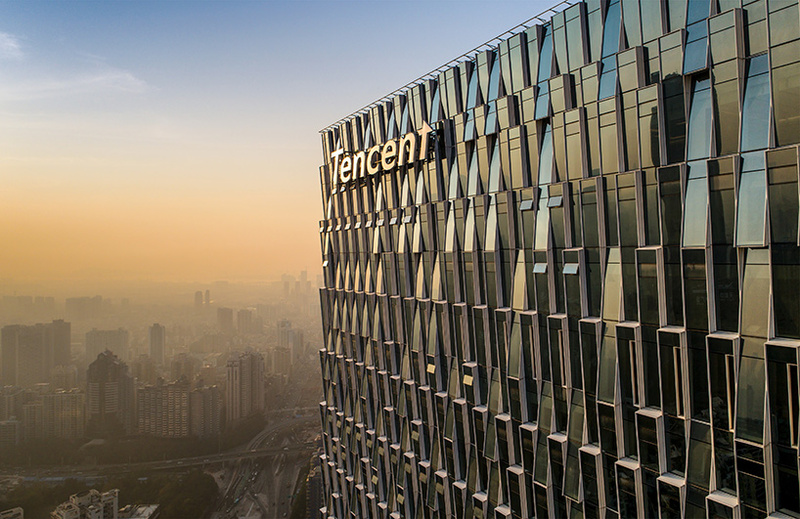 the project was completed for tencent — one of the world’s largest internet companies — and comprises a pair of office towers, one 50 stories and the other 39 stories, connected with three skybridges. 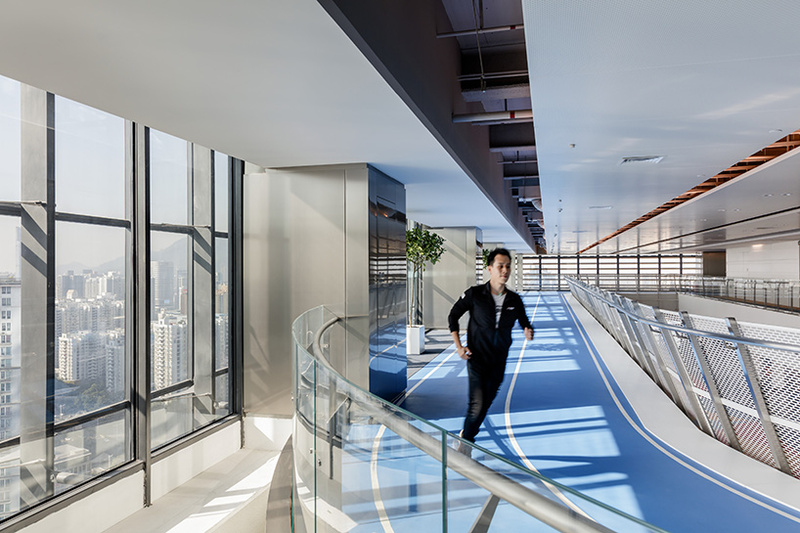 these structures feature community areas, green spaces, and fitness amenities — including a basketball court, a running track, and a pool — designed to encourage intellectual, physical, and creative growth. 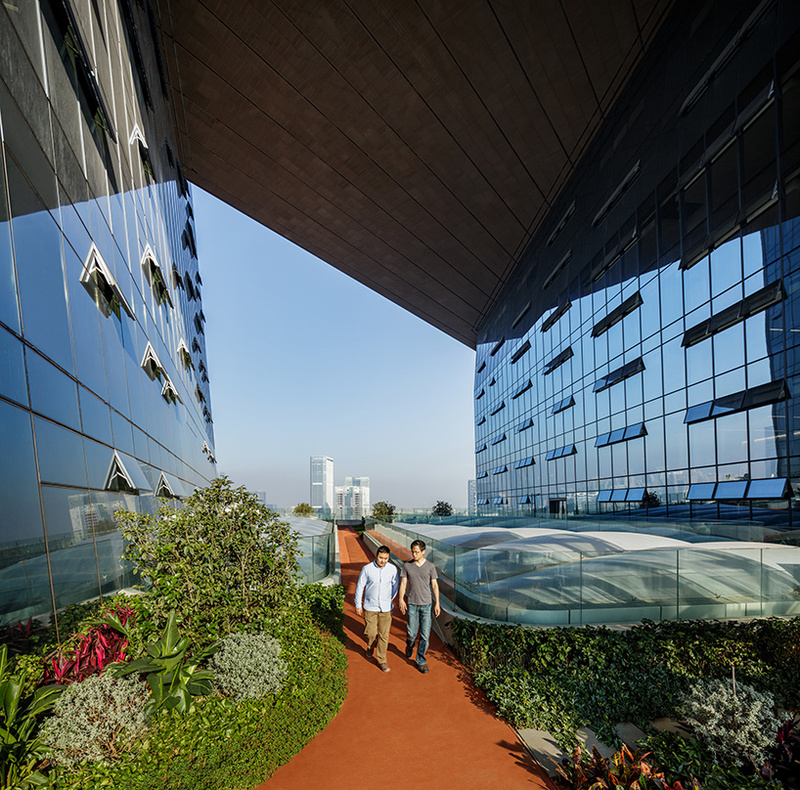 the building has been configured to activate movement and exchange within the workplace, creating horizontal ‘streetscapes’ and vertical connections. 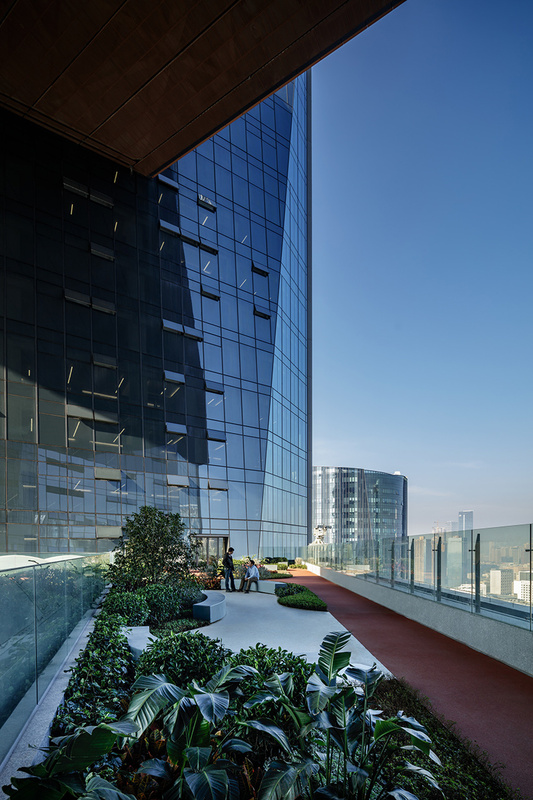 meanwhile, integrated energy strategies reduce consumption and carbon emissions by 40% over a typical office tower. 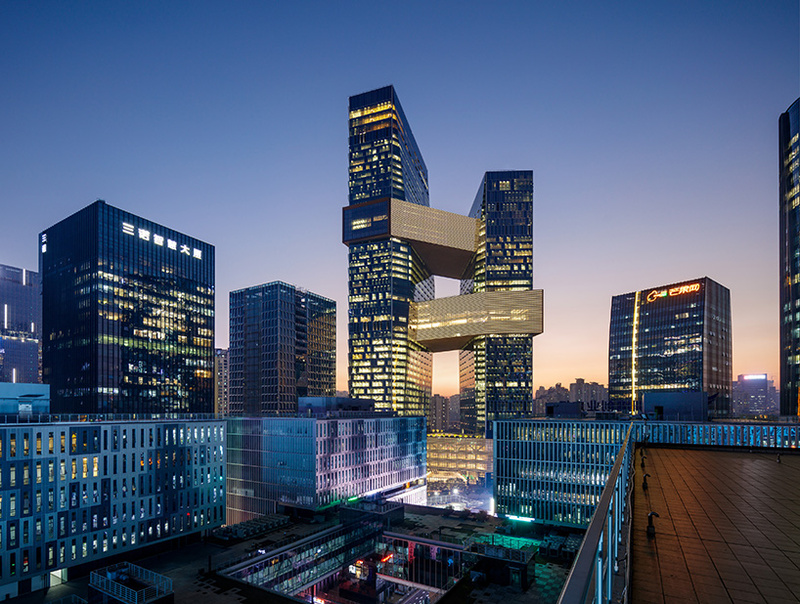 in addition, the slight rotation of the towers and their offset heights capture the site’s prevailing winds, ventilating the atria while minimizing exposure to direct sun. 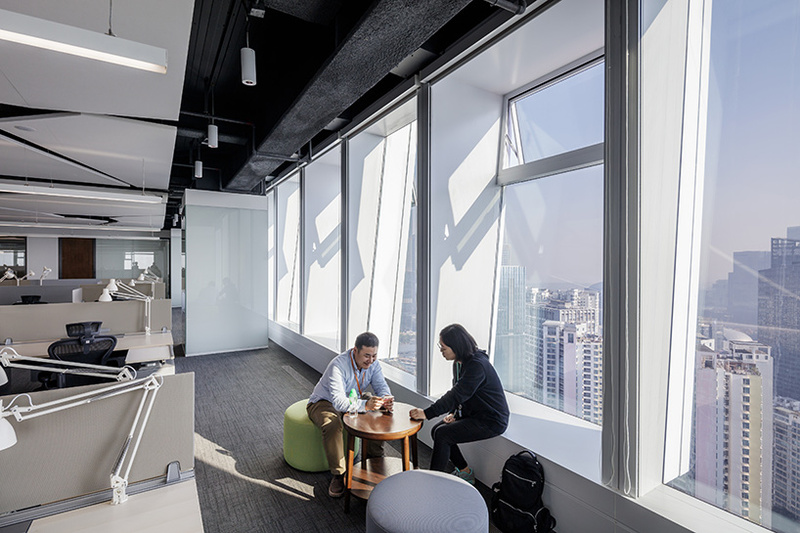 to control glare and heat-gain, the curtain wall incorporates a modular shading system that varies according to the degree of sun exposure. 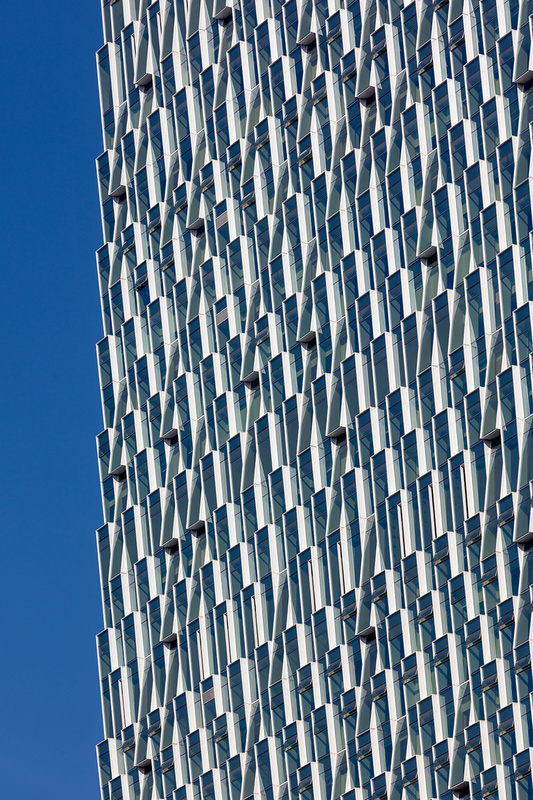 why is the tallest skyscraper in western europe being built in rural denmark?